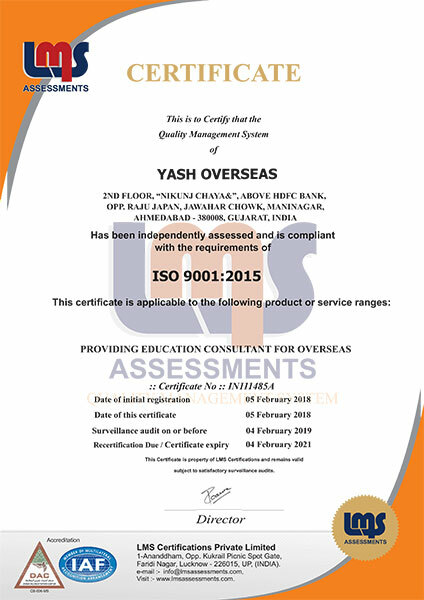 We deal with each & every student personally throughout during the process of counseling, admissions, documentation, bank loan guidance, visa file preparation , Departure, post arrival services in the designated country ,Yash Overseas is an official representative for number of Universities and colleges in Philippines, Russia, Ukraine, Kyrgyzstan, China, Georgia Kazakhstan, South America, New Zealand, Australia, Singapore, UK, USA & Canada. All the activities from counseling to admission, to visa, to departure to job placement are under the surveillance of the Directors to ensure the best services to our clients. Directors of Yash Overseas visit personally to all those universities once in year to look after the students, there health and academic performance, review the university facilities. We believe in value for money and offer services at most competitive service charges.